In the spirit of Halloween, Cream Co. presented a new iteration of General Economy Exquisite Exchange (G.E.E.E. 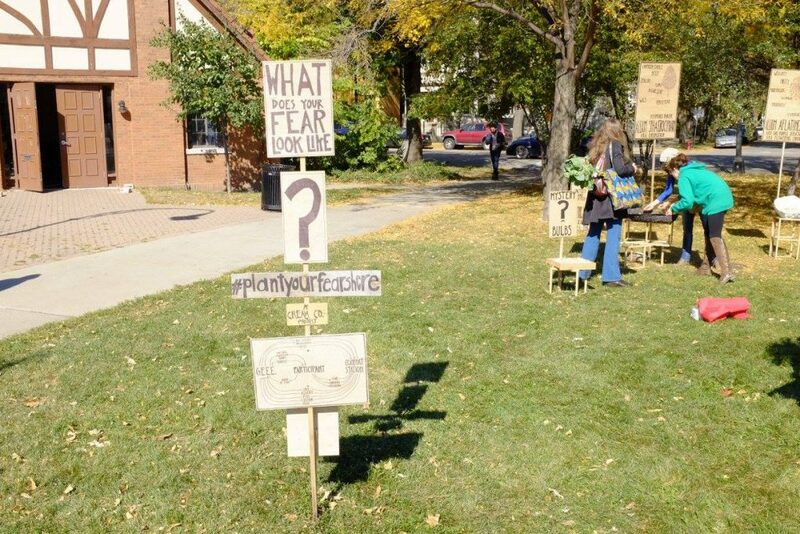 ): Plant Your Fears Here at the Comfort Station in Logan Square. In the spirit of Halloween, Cream Co. presented a new iteration of General Economy Exquisite Exchange (G.E.E.E. 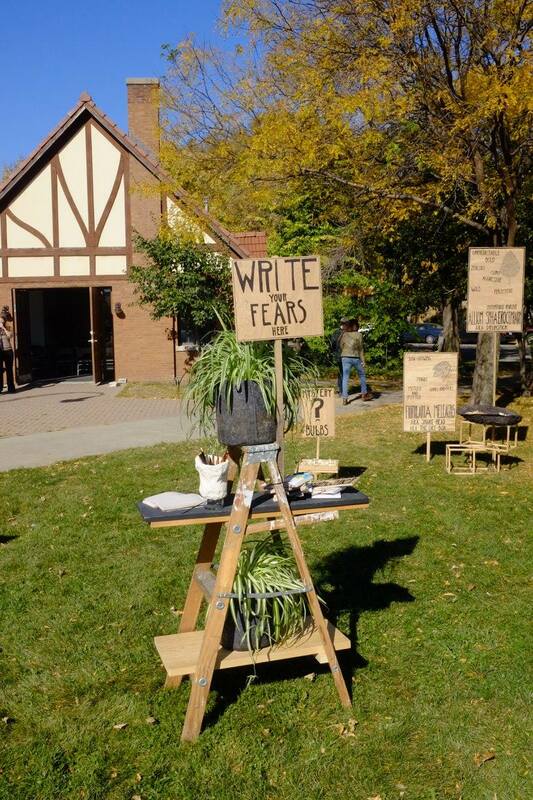 ): Plant Your Fears Here at the Comfort Station in Logan Square. 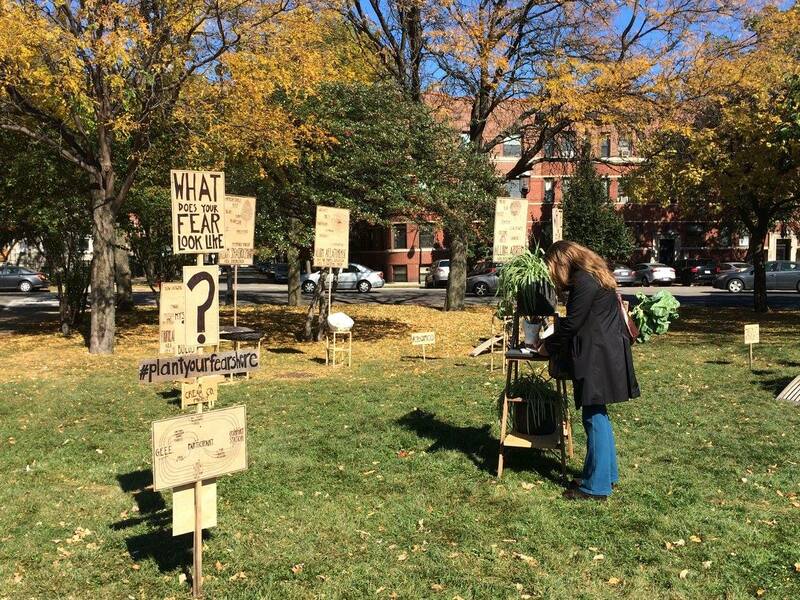 This interactive installation of plants and language used fears as an opportunity for growth. 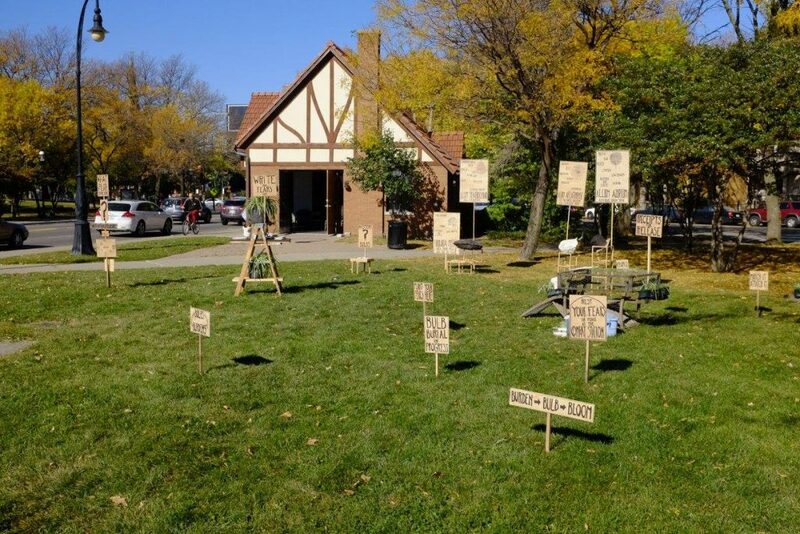 Participants were invited to write down a fear and attach it to an allium bulb and were planted by Cream Co . Spider plantlets were offered as a receipt of release.